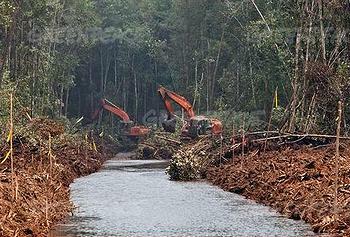 JAKARTA, Indonesia, February 6, 2013 (ENS) – In an agreement with Greenpeace, the giant Asia Pulp and Paper Group Tuesday announced a new Forest Conservation Policy that puts an immediate end to all natural forest clearing in Indonesia. Greenpeace hailed the commitment to end deforestation by Asia Pulp and Paper, one of the world’s largest producers of paper and packaging, as a “major breakthrough” in efforts to save Indonesia’s rainforests, after a decade of public pressure and recent negotiations with Greenpeace. “We commend APP for making this commitment to end deforestation, but it’s what happens in the forest that counts and we will be monitoring progress closely,” said Bustar Maitar, head of Greenpeace’s Forest Campaign in Indonesia. “If APP fully implements its new policies it will mark a dramatic change in direction, after years of deforestation in Indonesia,” Maitar said. The new policies apply to all of the company’s operations around the world, its suppliers in Indonesia as well as its paper mills abroad, including those in China. The company’s pledge, along with its improved transparency and accountability processes, will help protect some of Indonesia’s most important remaining forest areas, says The Forest Trust, the global forestry non-profit that brokered the agreement. 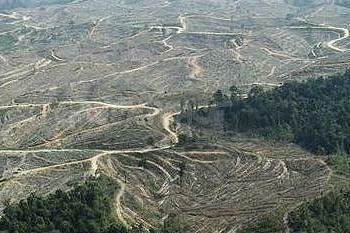 “APP’s decision marks a turning point for the role of industry in the destruction of the world’s most vulnerable forest regions,” said Scott Poynton, the executive director of The Forest Trust, which worked closely with Asia Pulp and Paper and with Greenpeace as the two negotiated meaningful new conservation guidelines for the company. The agreement will end APP’s role in the practice of destroying forests to make room for tree plantations. It protects forests inhabited by orangutans and Sumatran tigers, both endangered due to habitat destruction. APP pledged to support the Indonesian government’s efforts to reduce greenhouse gas emissions by ensuring that forested peatlands, which store large amounts of greenhouse gases, are protected and that emissions from peatlands are reduced or avoided. From February 1, all natural forest clearance has been suspended while “independent” High Conservation Value Forests and High Carbon Stock Forests assessments are completed. “No further clearance of areas identified as forest will take place,” the company said in a statement. “Where new plantations are proposed, APP will respect the rights of indigenous peoples and local communities, including recognition of customary land rights,” the company said. APP pledged to consult with conservation groups and other stakeholders to ensure that its protocols and procedures for FPIC and conflict resolution are in accordance with international best practice. APP’s new policy recognizes and respects the rights of the region’s indigenous peoples, many of whom depend for their livelihoods on forest resources, including the recognition of customary land rights. The company pledged to respect the principle of free prior and informed consent, which allows a community to give or withhold its consent to proposed projects that may affect the lands they customarily own, occupy or otherwise use. APP promised the responsible handling of complaints and of conflict resolution; and open and constructive dialogue with local, national and international stakeholders. APP, part of the Sinar Mas group, is one of just two global pulp and paper producers in Indonesia that has relied on rainforest fiber for its products, used by household brands across the world. Greenpeace has today written to the CEO of Asia Pacific Resources International, Indonesia’s second-largest pulp and paper producer, to ask when his company plans to make a similar commitment to end deforestation. Poynton said that globally the agreement represents a possible tipping point for using the influence of advocacy groups such as Greenpeace to affect the role of the private sector in global deforestation and climate change. The key, he says, is to hammer out a strategy for how industry can do the right thing while surviving economically. “APP’s commitments are far-reaching,” Poynton said. “There is, of course, a lot of work to be done to implement the policy in its entirety, particularly on the social and community engagement front where conflicts between the company and communities remain. But that work is underway, as are the tactics TFT will use to monitor and transparently report their progress.